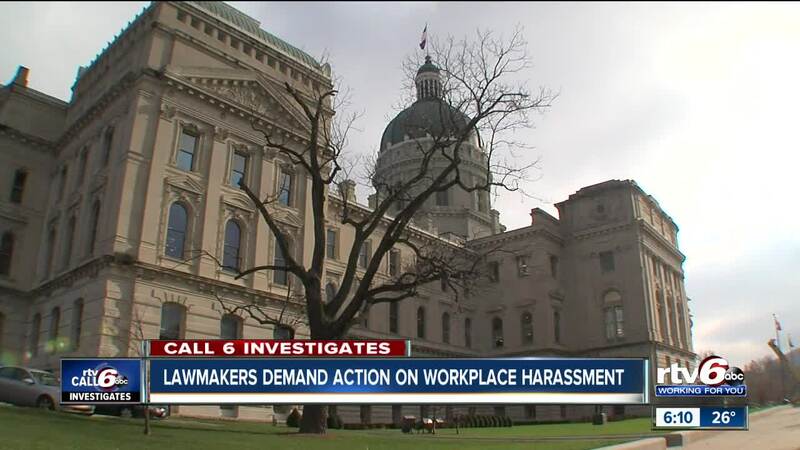 INDIANAPOLIS—State lawmakers and former state workers are demanding action following a Call 6 Investigation into workplace harassment in state government. Call 6 Investigates found state employees filed double the number of workplace harassment complaints in 2017 than they did in 2018. Since Jan. 2016, state employees have filed 383 claims to the State Personnel Department regarding workplace harassment and of those, SPD found inappropriate behavior in 55 percent of the claims. Reardon is calling on the governor’s office to review whether the state’s current workplace harassment policy is working or not. Shandi Donald, a wife and mother, was one of the 199 workers who filed a workplace harassment complaint in 2018. She quit her job in June 2016 with the state after Donald said an agency Chief of Staff repeatedly made inappropriate comments. Donald’s alleged harasser kept his job for 11 months after her complaint until he retired. Donald said the evaluate whether the state’s current policy is being enforced. Rep. Mara Candelaria Reardon saw Call 6 Investigates’ story about workplace harassment. Reardon said workplace harassment is everywhere. Reardon accused Attorney General Curtis Hill of sexual harassment, and Hill denied the allegations. Reardon filed House Bill 1573 which would create an oversight commission which could remove certain elected officials for engaging in sexual misconduct. The bill is awaiting a hearing. "I think it's important because we have to continue to hold people accountable,” Reardon said. “We want systemic change and that doesn't occur if we can't even hold people responsible at the top "
Reardon said workplace harassment will continue as long as state workers allow it. "It's not only important to hold the abusers accountable, but it's also important to hold the people who are complicit in perpetuating the abuse," Reardon said. Call 6 Investigates requested an on-camera interview with Governor Eric Holcomb and the State Personnel Department and we are still waiting to hear back.